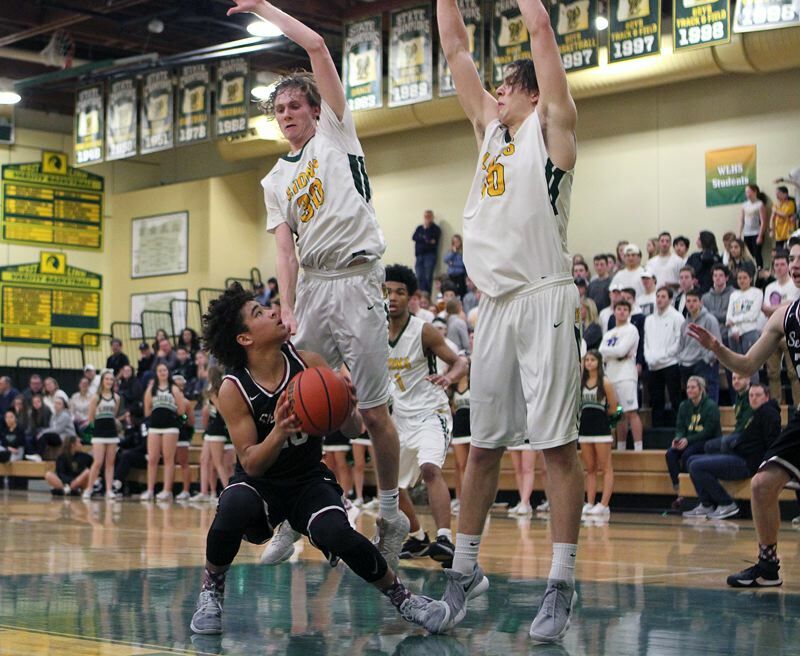 WEST LINN — Everything about Friday's game pointed to a big West Linn win. 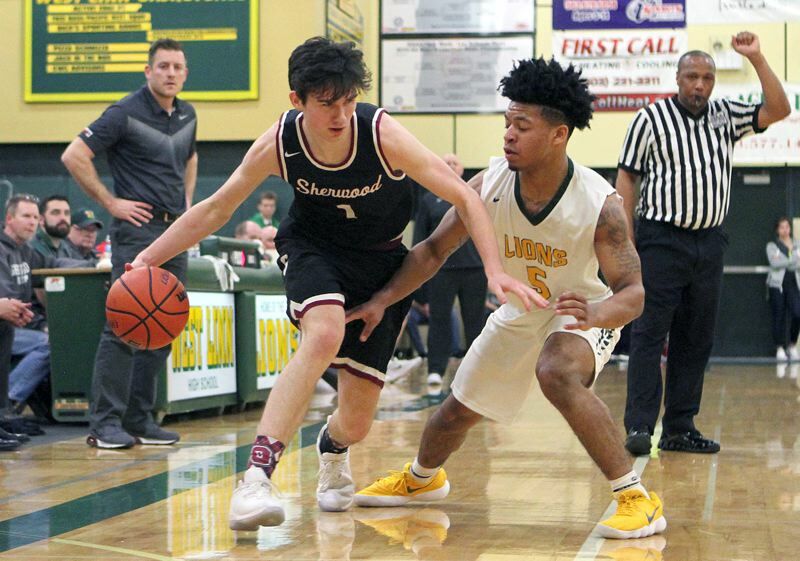 The Lions boys basketball team was hosting Sherwood on Senior Night, was looking to win its third straight game and was aiming to bolster its shot at a prime playoff position. Further, West Linn blasted out to a 13-point lead after one quarter and stretched its edge to 16 early in the second. But Sherwood did not go down easily. 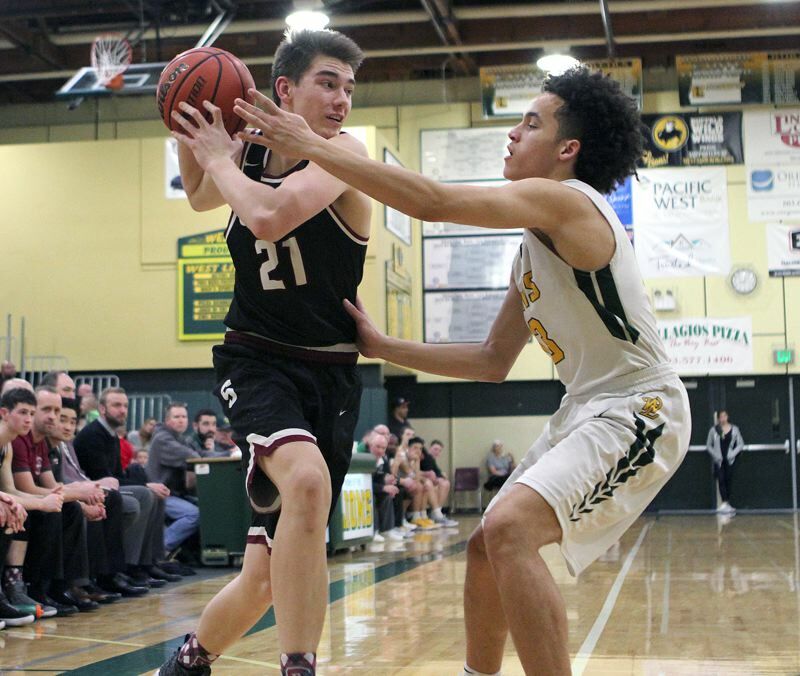 The Bowmen fought back within three points midway through the third quarter, then cut their deficit to just two early in the fourth. West Linn steadied itself there, however, closed the game on a 15-6 run and won 62-51 at West Linn High School. "We came back hard. We didn't lay down," said Sherwood senior Nic Koronko, who sank three 3-pointers and led his team with 13 points. "We just needed to clean up a couple mental things and I think we win that game. It's too bad." "In this game, we were really focusing on not playing scared," added Sherwood senior Billy Hale, who added nine points. "Last time when they were playing us at home, we were just not ready for that game and they came out and killed us. After the first quarter or so, we got a couple of good stops and the momentum was on our side." With the loss, Sherwood fell to 6-7 in TRL play (13-10 overall). No. 8 West Linn, meanwhile, improved to 10-3 in Three Rivers League play (15-8 overall). The Lions opened Friday's game at a dead sprint, knocking down five of their first six shots — including two 3-pointers by Thompson and additional "threes" from sophomore guard Micah Garrett and Michelon — then boosting their lead to 20-7 when junior wing Damiko Tidmore took a pass from sophomore Andre Best and scored on the fast break with 1 minute, 2 seconds left in the first quarter. 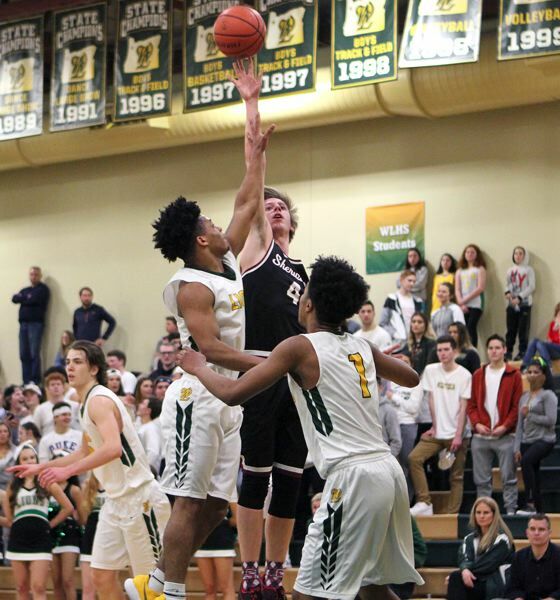 The Lions then got early second-quarter baskets from junior Cade Knutson, Tidmore and Max Michelon, with Michelon's turnaround jumpshot in the key extending the West Linn lead to 26-10 3:07 into the second quarter. But Sherwood rallied there, closed the half on a 14-6 run and moved within 32-24 at the half, that run highlighted by Jamison Guerra's six points and a "three" from Hale. And the Bowmen weren't done there, either. They opened the second half with an 8-3 stretch that cut the gap to 35-32 on Koronko's "three" from the right corner on a Guerra assist with 4:21 remaining in the third quarter. Then, they closed their deficit to 47-45 when Guerra scored on a drive and turned it into a three-point play with 6:37 left in the game. But the Lions stiffened there, getting back-to-back 3-pointers from Michelon and Garrett, then a driving hoop from sophomore Bryson Crockett that pushed the lead back to 55-45 with 2:38 left to play. Sherwood got no closer than six points the rest of the way. For their part, the Bowmen left encouraged about their chances and about what might lie ahead. "If we come out, if we don't play scared and we hit our shots, run our offense, we could make a deep run," Koronko said. "We could take some teams out." "We've just got to come mentally prepared," Hale added. "We know we're going to be the underdog whenever we're in the playoffs because of the rankings, but as long as we don't come out scared, we know we can play with any team in the state." Garrett added 15 points and 10 rebounds in the win, while Guerra scored 12 points for Sherwood. The Bowmen's slated home game with Tualatin on Tuesday was postponed due to the inclement weather that hit the area. The game, the TRL finale for both squads, is scheduled to be made up Thursday, starting at 7 p.m. at Sherwood High School. The outcome of that contest could determine if the Bowmen get an automatic bid to the Class 6A state playoffs, of if they have to host a play-in game on Saturday.